Have you heard of the famous Alaska Airlines Companion Fare? If you’ve ever flown on Alaska Airlines, I’m sure you’ve at least heard it mentioned. Typically, toward the end of your flight, they offer an application for their branded credit card which comes with the Companion Fare. It also usually comes with 30-40,000 miles to be used for reward flights. While it’s not always the most lucrative offer points-wise, the Alaska Companion ticket can prove to be quite valuable. What is the Alaska Airlines Companion Fare? The Alaska Airlines Companion Fare is a one-time use discount code that grants you a second ticket for the same flight by paying only $99 and the taxes and fees (which starts at $22 for a round trip flight) while purchasing one full price ticket. I’ve found the Alaska Airlines Companion Fare to be very beneficial to have when I have specific dates that I need to fly and there are no reward flights available on those dates. For me, this happens somewhat often because my wife is a teacher and only has specific dates that she can travel (the whole Summers off thing). This makes budget travel quite difficult. In particular, around the holidays and spring break for school, are difficult times to find available reward flights. With the Alaska companion fare, at least we save almost half the price we would otherwise have to pay. The more your flight costs, the more savings you’ll receive from using the companion fare. I’m currently looking for flights to Hawaii around the holidays and let me tell you, they are not cheap! There are also no available reward flights on the dates that we need to travel, so I’m most likely going to use our yearly Alaska Airlines Companion Fare that I get from my Alaska Airlines credit card. Because the flights around that time are so ridiculously expensive, I will likely save nearly $800 by using it. Keep in mind that you can only book economy seats with your Alaska Air companion pass. It is, although, possible to book a flight with your companion pass and then upgrade it with guest upgrades if you have them. They’re acquired by having elite status. With Alaska Airlines, it’s possible to status match elite status from another airline you may have. After using the Alaska Companion Fare just twice, I’ve saved over $1000 on flights by having it. If you end up having expensive flights each year, getting one of the Alaska Airlines credit cards might work well for you too. After my upcoming flight, it could be nearly $2000 saved over 3 round trip flights. 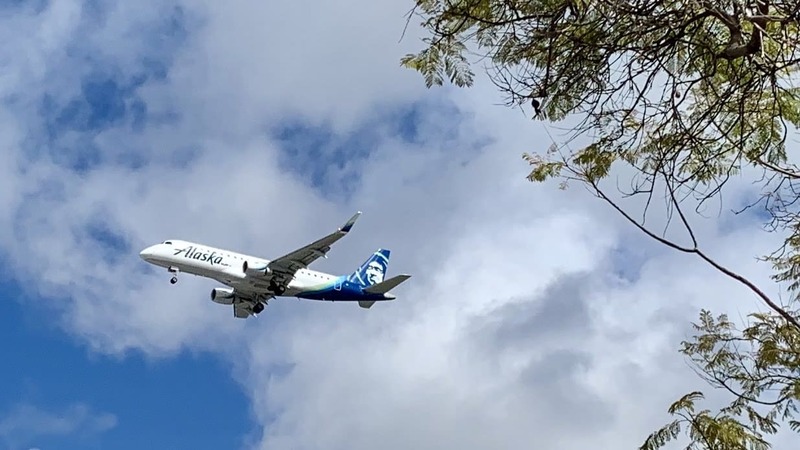 The one and only way to get an Alaska Airlines Companion Fare discount code is to have either of the Alaska Airlines credit cards. Bank of America offers both a personal credit card and a business card, both of which offer a signup bonus of miles and the companion pass ticket each year. The two cards offer nearly identical benefits other than that. It’s also possible to have multiple Alaska credit cards and therefore multiple companion fares each year. You'll earn a $99 Companion Fare and 40,000 miles after spending $2000 in the first 90 days. You'll earn 3X miles on purchases with Alaska Airlines. If you have flights that you end up having to pay high values for, the Alaska Airlines Companion Fare can come in handy. Not to mention, the signup bonus is pretty good too. $50 per company + $25 per card. When you want to book a flight using your Alaska Airlines Companion Fare can redeem it by clicking the “Shop” button inside the Discounts and Companion Codes tab of your account profile. The companion fare discount code will automatically be added to the reservation. Your discount will be reflected on the price in the “Available flights” and “Cart” pages. Your discount code won’t actually be redeemed until after you have finished purchasing the ticket. Also, know that you can use any credit card to purchase the flight. You aren’t limited to using your Alaska Airlines Visa. It might make more sense to book with a card like the Chase Sapphire Preferred or Ink Preferred because they offer travel insurances that the Alaska card doesn’t. When you have an Alaska Airlines Companion Fare, you’ll want to maximize the value of it. It won’t do you much good if you use it on a $200 flight because you’ll only save $79. The flights you’ll want to use it on are those $500+ flights that you can’t find any other option. Other than using it on an expensive flight, there are a few other ways to help maximize the value of your Alaska Airlines Companion Fare. By booking a stopover flight you’ll add an extra location you get to visit. A stopover flight is one that has a long layover on the way to, or from your final destination. For instance, you could fly one-way DAL>PDX>HNL and have a long enough layover (multiple days) in Portland. This way you could visit Portland before continuing your flight to Hawaii. Essentially, it’s like having a two-stop vacation. By booking an open jaw flight you’ll also add an extra destination to your itinerary. An open jaw flight is when you add a final destination to the end of your trip for a later vacation. For instance, if you live in Portland, you could fly round trip PDX>HNL>PDX>DAL with a long break between the PDX>DAL part of the itinerary. This allows you to have half of your future Dallas flights paid for. You’d just have to book a one-way ticket to get home. We mentioned that Alaska Airlines Companion Fare’s are only bookable in economy class. You can actually turn this into a first class flight by getting upgraded. One way to get upgraded on your flight is to status match from another airlines loyalty program to Alaska’s. If you have an upper level of elite status with another airline you can potentially get a status match to MVP Gold or MVP Gold 75k. With either of these levels, you receive 4 guest upgrade promo codes that can be used to upgrade your flights. If you’ve never flewn in first class, this is a way to achieve it without paying the big bucks. If you end up not having a flight that makes sense to use the Alaska Airlines Companion Fare during the year, don’t let it go to waste. You’re actually allowed to use it for someone else’s flights. Surely you have a friend or family member that will be flying. Remember that the companion fare is only valid for one year and expires. You aren’t able to stockpile them for multiple years to use together. If you have a family of four, I’m sure this might have crossed your mind. If you do have a family of four or more, you can take advantage of having multiple Alaska Airlines Companion Fares. No, as I mentioned above, you can’t stockpile the discount codes from year to year. But, instead, you can have more than one Alaska Airlines credit card for your family. Either two personal cards for the adults in the family, or a personal card and a business card if you’re a small business owner. Of course, every offer comes with restrictions and down-sides. Like any other offer, this one does too. Fortunately, there aren’t very many negatives to the Alaska Air Companion Fare. It’s about as restriction-free as an offer can get. Here are the few negatives about the Alaska credit card companion fares. One of the negatives is that the Alaska Airlines Companion Fare discount codes cannot be used along with any other discount codes. This means if you have a travel voucher from Alaska Airlines, you won’t be able to use it on the same flights. I actually tried this recently, because my wife and I had quite a few vouchers from interruptions to our flights over the past year, as well as a companion fare. It was not possible to combine the two. Be sure of your plans before booking a flight with your Alaska Companion ticket. If you need to cancel your flights, unfortunately, you will forfeit your Alaska Companion Fare. If for some reason you absolutely must cancel a flight, I would still reach out to Alaska Airlines customer service to ask if it’s possible for them to add it back into your account. Their customer service is often very nice and will help you out in any way possible. We’ve mentioned it a few times, but the Alaska Airlines Companion Fare is only valid for booking economy seats. In the past, it was possible to book first class, which made the offer even more valuable. Unfortunately, they got rid of that option a few years back. Remember, it is possible to upgrade those economy seats though. Overall, the Alaska Air credit cards are quite beneficial. They can help you out when you’re in a sticky situation and can’t find reward space. The bonus miles you’ll receive are also a decent chunk of Alaska miles. It can sometimes be enough miles for multiple round trip flights in an economy seat or a one-way first-class flight. I have the personal Alaska Airlines Visa credit card and find it valuable enough to continually pay the annual fee to keep the card. If we end up with two children in the future, I’ll absolutely be adding a second card to the mix as well. The Alaska Companion Pass pays off when you really need it. I’ve been able to find a reason to use our Alaska Airlines Companion Fare each and every year I’ve been a cardmember. Decision Time: Could You Use a Companion Pass? If you’re someone who often flies with a partner and ends up having to pay money for flights, one of these credit cards is likely a good option. Having a companion ticket for as little as $121 each year can really pay off. Other airlines have companion passes similar to this, but none of them are as easy to earn. Many other companion passes are only given to you after a certain amount of spend on a credit card each year (like $10,000). The best part of the Alaska Airlines Companion Fare is that you automatically recieve it each year. If you haven’t heard of the Southwest Companion Pass, you’re about to be enlightened on the best travel deal in the airline industry. It is the best travel deal ever to be seen in the airline industry. If earned, a Southwest Companion Pass allows for you to fly with a complimentary companion on every flight you take for up to two years (on cash-paid or points flights). Achieving Southwest Companion Pass status is done by earning 110,000 Southwest Airlines Rapid Rewards points in one calendar year. While that may sound impossible for the regular traveler, it’s not. My wife and I have done it on three separate occasions. Earning the 110,000 Southwest points does not have to be done solely through flying. In fact, it can be achieved without flying a single flight. The points can also be earned through the Chase Rapid Rewards credit cards. 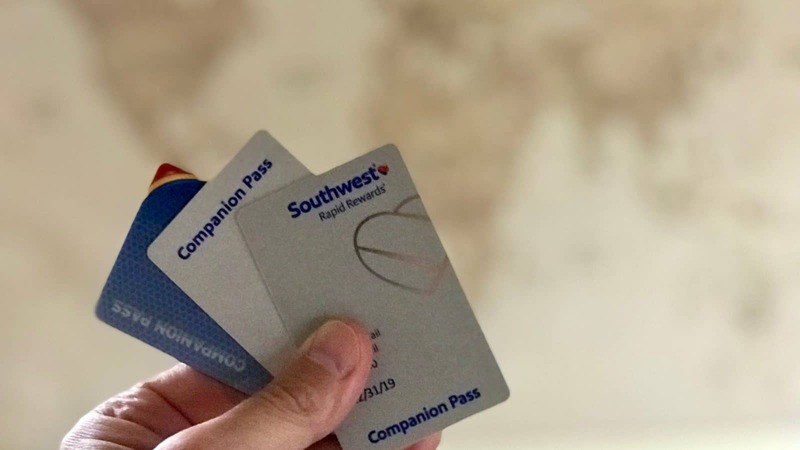 This means that both the credit card introductory bonuses and the money spent on the cards will earn points towards the Southwest Companion Pass! When you earn a Southwest Companion Pass, you’re essentially getting status that grants you and your companion unlimited (BUY ONE, GET ONE FREE) flights for both the year you earn it and the following year. Yes, you heard that right. If earned in January 2019, you’d have it for all of 2019 and 2020! The free companion tickets are valid on both paid flights and reward flights. That essentially means that those 110,000 points you just earned are now worth double. They’re worth 220,000 points if you always take your companion along for free. The only thing to say is about this deal is WOW! It doesn’t get much better than that. If you decide to travel a lot on Southwest while you have the companion pass, you can save thousands upon thousands of dollars. I almost forgot to mention that Southwest has grown their flight routes over the past few years. They now fly to more destinations than just the USA. They fly to Mexico, Central America, and much of the Caribbean. Also, they plan to begin flights to Hawaii in late 2018 or early 2019. I’m guessing you’re starting to understand why this is my favorite deal in the airline industry. Southwest doesn’t fly worldwide, but for people who are looking to travel within the U.S.A. and to our southern neighboring countries, it’s an amazing deal. Who doesn’t love a good deal? Who is the Southwest Airlines Companion Pass Right For? While Southwest doesn’t have first class, they lack a large international route map, and they don’t have seat selection, they make up for it with their excellent customer service and flexibility. All Southwest flights can be rescheduled up to ten minutes before the flight time for no fee. You can also check your bags for no fee. It’s truly an airline that tries to make their customers happy and it shows. That’s hard to say about other airlines these days. Some people dislike Southwest’s seating procedure, but if you know how it works and you’re on top of checking in exactly 24 hours before your flight, it works out quite well. I simply set an alarm 24 hours and 5 minutes before my departure time. When my alarm goes off I open the Southwest app on my phone and check-in when the time hits. This ensures you will get in the A or B boarding group and likely ensures that you will have a seat with your flight mates. I have never missed out on getting a seat next to the person I was flying with by using this check-in procedure. 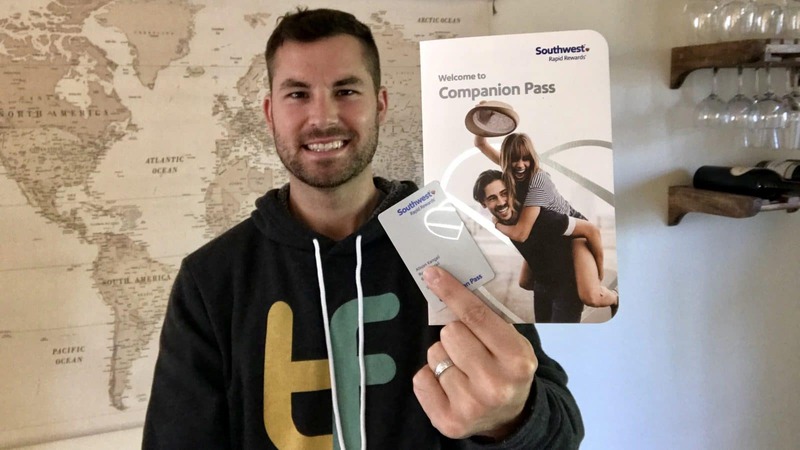 The Southwest Companion Pass is perfect for flyers who want to travel within the United States and nearby countries. Their destinations within the US are actually very good. There are few places in the country that you cannot get to by flying Southwest. The addition of Hawaii will add even more options for vacation using a Southwest Companion Pass for flights. I have been flying Southwest for six years and have nothing bad to say about them. I love flying Southwest, especially when I’m flying with my free companion beside me! In order to earn a Southwest Companion Pass, you have to earn 110,000 qualifying points or fly 100 qualifying one-way flights each year. While, for most people, taking 100 flights is out of the question in a single year, it is possible to earn 110,000 points. It’s possible due to the different options available to earn qualifying points. Qualifying points include points earned through revenue flights on Southwest, credit card points (including credit card introductory offers) and points earned through Southwest partners. Points that don’t qualify are purchased points, points transferred from other members (even family), points converted from other loyalty programs (the likes of Chase Ultimate Rewards), e-rewards, e-miles, Valued Opinions, Diners Club, points earned from program enrollment, tier bonus points, flight bonus points and partner bonus points. The best way to earn large amounts of Rapid Rewards points is through the introductory offers of the Southwest credit cards. However, you need to be aware of Chase’s rules on applying for Southwest credit cards before you hit submit. Because Chase has it’s 5/24 rule, if you’ve opened more than five credit cards (not just Chase cards) in the past 24 months, you’ll likely be denied. You can’t earn the bonus on any of the Southwest cards if you’ve earned an introductory offer bonus with that specific card in the past two years. Also, a new rule (as of April 2018) prohibits you from owning two of their personal credit cards at once. Meaning you can no longer sign up for two personal cards to earn the bonuses in a single year. You are, however, allowed to have one personal card and one business card at the same time. Therefore, to earn the most points from credit card bonuses you’d need to apply for one of the three personal cards along with the business premier card. Qualifying for a business card is not as difficult as you might think. Any side hustle or extra income may qualify you. With introductory offers ranging from 40-60,000 points, signing up for two of the Southwest credit cards will get you most of, if not all the way to earning the Companion Pass. As a rule, I wait to apply for any of these credit cards until the introductory offer is at least 50,000 points. Credit card referral bonuses are another great way to rapidly accumulate points toward the Companion Pass. Chase offers 10,000 points for every friend whom you refer through your personalized link and is approved for a Southwest credit card. These referrals are limited to a total earning of 50,000 Rapid Rewards points per year. Other than credit card bonuses and referral bonuses, flying very often on Southwest is your best option for earning Rapid Rewards points. Depending on the fare type, you earn between 6 and 12 points per $1 spent on Southwest airfare. With this method alone, you would need to spend at least $9,000 on airfare to earn enough points for the companion pass. Sign up for Rocketmiles here: Get 1000 extra bonus points when you book. Southwest has several travel and shopping partners that allow you to earn extra Rapid Rewards points by purchasing rental cars, hotel stays, transportation and experiences. One of the best partners is Rocketmiles, where you can earn up to 10,000 Southwest points per night on certain hotel stays (extra bonus offer points don’t count towards Companion Pass – base points do). A hotel room booked for a few hundred dollars can earn thousands of points alone. For instance, the booking to the right shows a hotel room that costs $379 and earns 5000 Rapid Rewards points. This is a great way to meet the last of the points you may need to earn the SW companion pass. Any points you earn through purchases made on the Southwest credit cards will count toward the Companion Pass. All the Southwest credit cards offer the same earning rate: 2X points per $1 spent on Southwest purchases, Rapid Rewards hotel purchases, and partner car rental purchases. 1 point per $1 spent is earned on all other purchases. This would be a difficult way to earn a companion pass unless you spend a very large amount of money each year. You would need to spend over $100k on a Southwest credit card to earn the Southwest Companion Pass through credit card spending only. The Southwest Rapid Rewards Dining program is another good way to add a few extra points to your balance. You’ll earn up to two points per $1 spent at qualifying restaurants. You must sign up for this program and designate your credit card to earn these bonuses. You can also earn extra Rapid Rewards points by clicking on a retailer’s link through the Rapid Rewards shopping portal before purchasing. The Rapid Rewards shopping portal includes many retailers you probably use, like Best Buy or World Market. You’ll earn varying point multipliers depending on the retailer but it’s usually between 1-4 points per dollar. As you can see above, the only quick and easy way to earn the Southwest Companion Pass is through credit card bonuses. 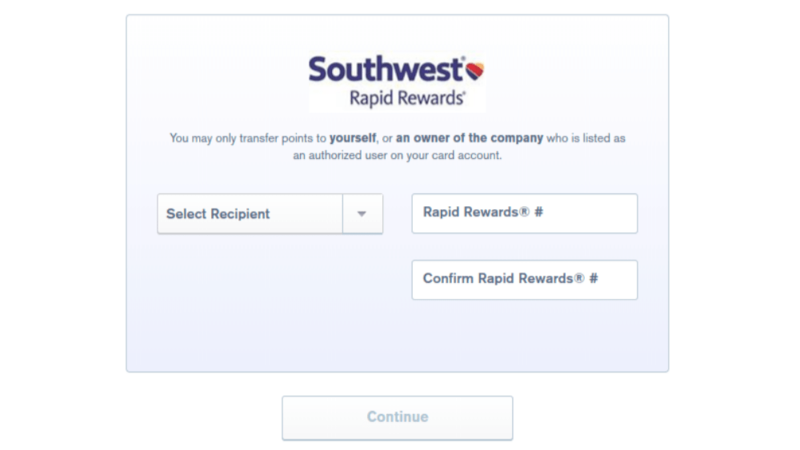 The other ways to earn Rapid Rewards points are good for topping off any last points you need to meet the 110,000 points for the Southwest Credit Card Companion Pass. Chase currently offers four Southwest Rapid Rewards credit cards and they all typically have introductory bonuses of 40-60,000 points each. Out of the four Southwest credit cards, you can often get approved for two of them (1 personal and 1 business), meet the minimum spends for both, and you’ll instantly earn a Southwest Companion Pass. Chase offers three personal credit cards (Plus, Premier and Priority) and one business credit card (Business Premier). Yes, you must have your own business to qualify for a business credit card. However, a sole proprietorship is valid. That means if you have any kind of “side hustle” or side income you have a business. Do you sell things on eBay or Craigslist? That’s a business. Maybe you have garage sales… Get creative! If you need inspiration, check out these two blogs: Smart Passive Income & Side Hustle School. Getting approved for both a personal and business card at the same time is absolutely possible, and even probable if you try. I’ve done it on multiple occasions, my wife has done it, and many travel bloggers have done it as well. Call the reconsideration line If you’re not approved for one of the cards. You can ask them if they’ll manually review your application. You may want a personal card and a business card to keep expenses separate, which is a valid reason for two similar credit cards. Two Southwest credit card approvals at once are possible. If you aren’t able to get two credit cards at the same time, you can always apply for one and then wait 3 months or more to apply for the other. As long as you are awarded the introductory bonuses in the same calendar year, they will combine to earn points towards the southwest companion pass. Once you are approved for your Southwest credit cards, you’ll need to meet the minimum spends to earn your bonus. If you are trying to earn the Southwest Companion Pass in 2019, you can actually apply for the credit cards at the end of 2018. Because you get 3 months to complete the minimum spends, you can get your credit card anytime after October starts. If you do this, you must make sure to not reach the full minimum spend until after January 1st, 2019. That is when you will earn your bonus points. For instance, if you were approved for one of the Southwest credit cards on October 15th, 2018 (that earns the bonus after $3000 in first 3 months), you would have until January 15th, 2019 to complete the minimum spending. You could put, say $2800 in spending on the card in 2018, then wait to complete the other $200 of needed spending until after January 1st, 2019. This will allow you to earn your companion pass earlier in the year to maximize the time you have to use it. Just be sure to not complete the minimum spending too early, because you must earn all 110,000 points in the same calendar year. Below are the four Southwest credit cards offered by Chase. To help earn a Southwest Companion Pass, it’s possible to be approved for two of the credit cards. You can get one of the personal cards as well as the business card. This is how I have earned the companion pass three separate times, and have had a free flight companion for nearly six straight years. It’s pretty simple. Earn 3000 points on your cardmember anniversary. See our full review of the Southwest Plus card. See our full review of the Southwest Premier card. You'll earn 2X points on Southwest purchases and Rapid Rewards hotel and car rentals. $75 Southwest travel credit each year. 4 Upgraded boardings per year. 20% back on in-flight drinks and wi-fi. Earn 7500 points on your cardmember anniversary. See our full review of the Southwest Priority card. You'll earn 60,000 points after spending $3000 in the first 3 months. See our full review of the Southwest Premier Business card. It’s your lucky day. Chase Ultimate Rewards transfer to Southwest at a 1:1 ratio. That means that when you earn your Southwest Companion Pass, you can stack your Southwest points account balance by earning Chase Ultimate Rewards to transfer over. Below are the three best credit card offers to earn Chase Ultimate Rewards points. You'll earn 60,000 points after spending $4000 in the first 3 months. You'll earn 2X points on travel and dining. Points are worth 25% more when used in the Chase travel portal. 1:1 point transfer partner hotels and airlines. This is the best first travel credit card to get. It has a valuable signup bonus with easy to redeem points. You also get a boost to your points value in the Chase travel portal. You'll earn 80,000 points after spending $5000 in the first 3 months. You'll earn 3X points on travel and select business expenses (including online social media ads). *Limited to first $150k per year. The signup bonus alone for this card is amazing. Pair that with some great rewards earning for your business and this card is great. If you have a business, we find the Ink Preferred to be the best offer available. If you’re looking to travel a lot in the next year with that Companion Pass, you might also be interested in priority airport security screening and airport lounge access. You can receive those travel benefits and much more with the Chase Sapphire Reserve. You'll earn 50,000 points after spending $4000 in the first 3 months. You'll earn 3X points on travel and dining. TSA PreCheck or Global Entry. Points are worth 50% more when used in the Chase travel portal. 1:1 point transfers to partner hotels and airlines. This is one of the best premium travel credit cards if you want some luxury. It has a valuable signup bonus with easy to redeem points. You also get a boost to your points value in the Chase travel portal. The biggest key to this card is the airport lounge access. If you travel a lot, it's extremely valuable. Now that you know the easy way to get the Southwest Companion Pass, here’s how you’ll use it. 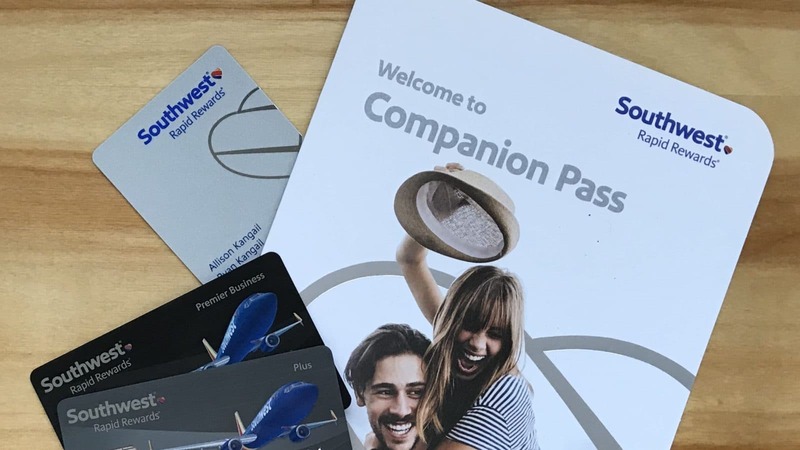 Since every flight you take on Southwest in the year you earn companion pass and the year after will include a free companion ticket, you should take advantage of it as much as possible. The more you use your companion pass, the more valuable it is. For instance, if you only use it once for a $300 flight, it’s value is $300. But, if you use your companion pass for 20 $300 flights, it’s value is $6000. The Southwest Companion Pass can be extremely valuable, but it’s inevitably up to you how valuable it will be. Southwest Points to Dollars: How much is each point really worth? Each Southwest point is worth about 1.6 cents when used to book a “Wanna Get Away” flight. This is the lowest available price for flights with Southwest and will get you the most value. If you earn the Companion Pass that means you will have 110,000 points to use. You don’t actually have to spend the points you earned for the Companion Pass. You get to keep them. Those 110,000 points are valued at $1760 towards Wanna Get Away flights. But, now that you have a free companion for every single flight, those points are worth double. An astonishing $3520 value if you take a companion on every flight! You’ve got $3520 worth of points if you earned the Southwest Companion Pass. You’ll surely want to know how to use them effectively. I follow the rule of only booking flights at the Wanna Get Away price. Southwest points prices always coincide with the cash prices (~62.5 points per $1). When using your companion pass, you will book your flight as usual, except only book the flight for one person, whoever holds the companion pass status. You’ll add your companion to the flight after booking. Remember, you can use either cash or points to book even when you’re adding a companion. Sign in to your Southwest account, Find your flights, complete your bookings, and then go to My Account and then My Trips. There you will find all of your upcoming trips and a button that says Add Companion. You’ll click that on each itinerary that you want to add your companion and follow the prompts. You’ll have to pay the taxes and fees to complete booking your companion. In my wife and I’s case, she has the companion pass, but I have some Southwest points in my own account. Those points aren’t transferable, but I can use my points to book her a flight. After I book her flight, she can add that flight to her Southwest Rapid Rewards account using the confirmation code. Then, she can add me as a companion for the flight using the process detailed above. This is a great way to take advantage of Southwest points that your companion may have in their account. Whenever booking flights on Southwest, it’s smart to book each one-way flight separately (not as a round-trip ticket). 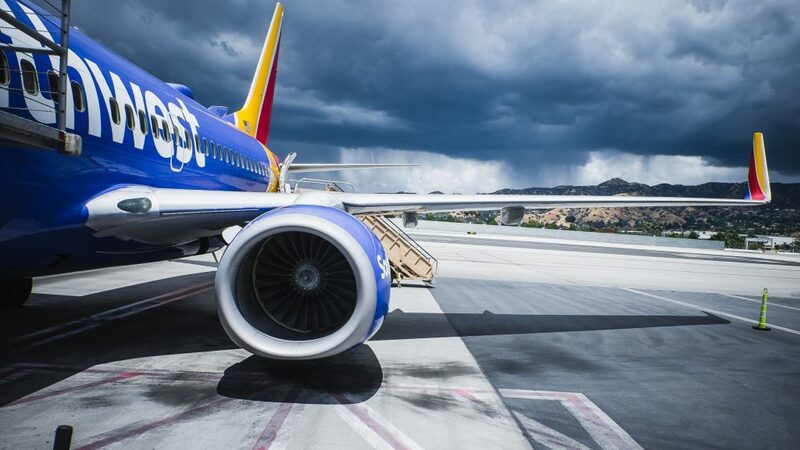 Southwest offers no fee rescheduling of all flights, so if one of your flights becomes cheaper after purchasing it, you can easily reschedule either the departing flight or arriving flight. It makes sense to only book one-way tickets because if, for instance, your departure flight gets cheaper and your arrival flight gets more expensive, you can’t reschedule just half of your itinerary if booked together as a round-trip. Using this one-way booking process, you’ll easily be able to change your flights, guaranteeing the best price. Southwest has sales on their flights very often. The great thing about their points being equal to a dollar amount is that when they have flight sales, the points price becomes cheaper as well. During past sales, I’ve been able to find flights for as little as 2-3000 points. Remember that there are no fees to reschedule a flight, so you can book your flight now, but continue to check prices, especially during sales. If either way of your flight becomes cheaper, just reschedule it for the cheaper price. You will be refunded the difference of points or dollars. You are allowed to change your designated companion up to three times each calendar year. 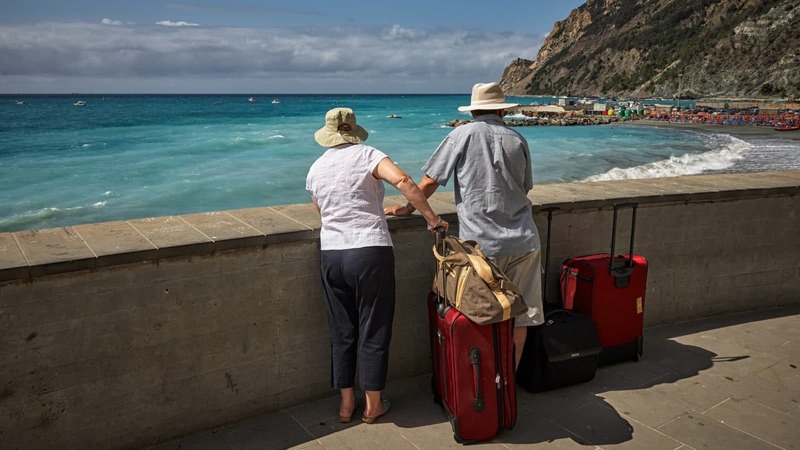 Once you qualify, you can begin booking flights with your Companion Pass immediately, and it is good through the remainder of the year you earn it as well as the next calendar year (up to two years, depending on when you qualify). You can pay for your flight with cash or points before you add your companion. 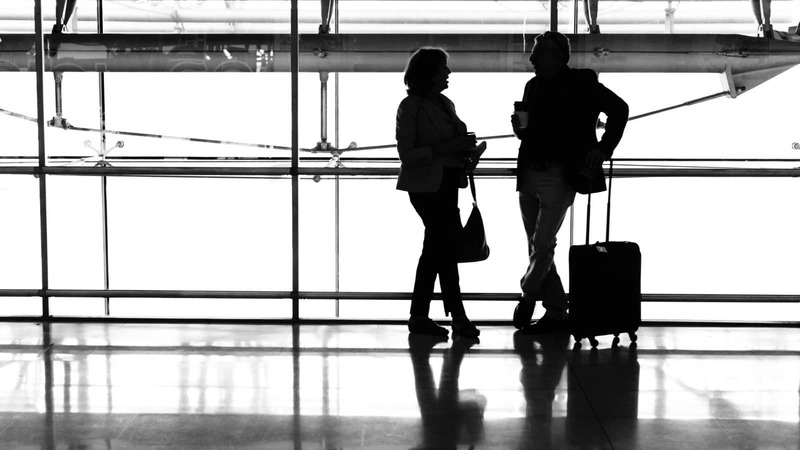 Your companion can’t fly without you – they must be booked on the same flight and dates. If you cancel your ticket, the companion ticket will also be canceled. You have to pay for your ticket (cash or points) to bring a companion (you can’t use a companion pass to fly with a partner also using a companion pass). As of October 2018, Southwest Airlines flies to 99 destinations across the United States, Mexico, Puerto Rico, Central America, and the Caribbean. Also, they will be adding four new destinations come this winter. Southwest will fly to Oahu, Maui, Kauai, and the Big Island of Hawaii. Soon, there will be over 100 Southwest Airlines destinations to use your Southwest Companion Pass on including Hawaii. 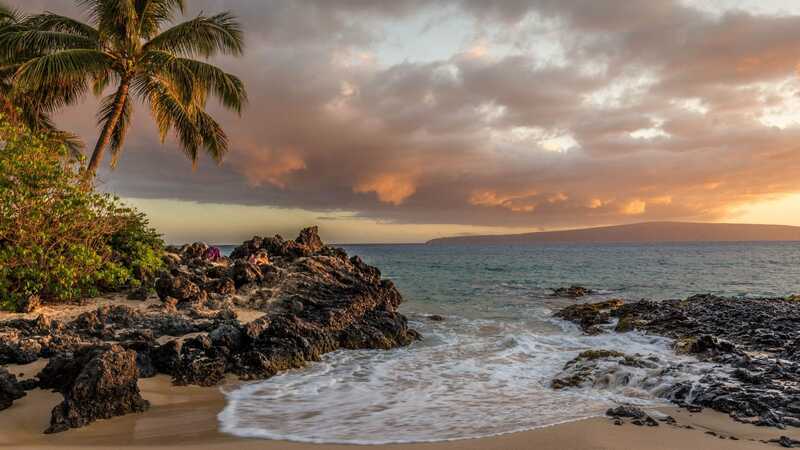 Hawaii – Southwest Airlines Hawaii flights are coming in late 2018/early 2019! Think of all the amazing adventures and vacations you and your companion could take advantage of with a Southwest Companion Pass. For a full list of Southwest destinations: Check out our post: Where Does Southwest Fly? Beginning in March of 2019 Southwest began flying to Hawaii for the first time. Flights are to all of the major islands: Oahu (HNL), Maui (OGG), Kauai (LIH), and the Big Island (KOA). The original four mainland departure airports will be Sacramento (SMF), San Jose (SJC), Oakland (OAK), and San Diego (SAN). In the future, I would expect to see more departure airports along the west coast. The airports that could be next are Portland (PDX) and Seattle (SEA). 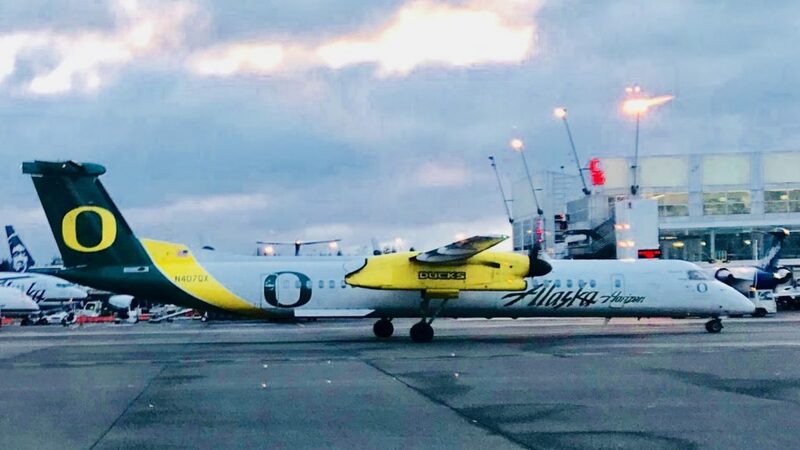 They both have similar flight times to California to Hawaii flights. Southwest will also offer inter-island routes. Currently, there aren’t many options to fly between the islands. This will hopefully create some cheaper fares to get from island to island. It currently costs around $100 with other carriers. 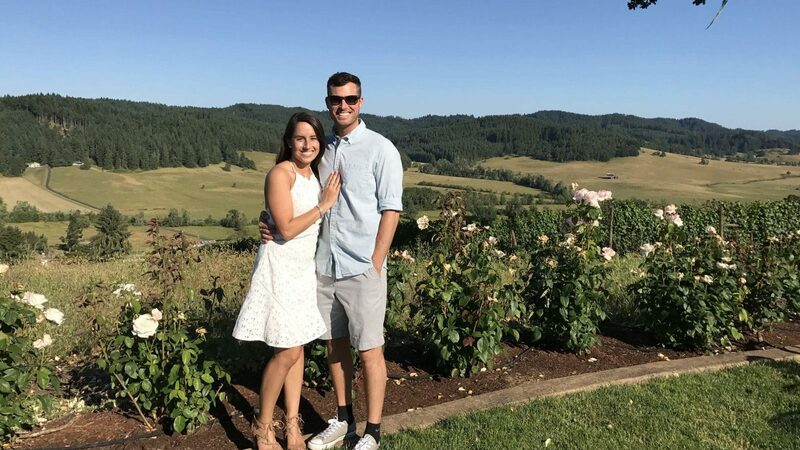 I love Hawaii and travel there often, so it’s nice to be able to split up a vacation between multiple islands, like my wife and I did for both our honeymoon and our one year anniversary. It also brings another option to use points to travel between islands. Plus if you have a companion pass it will be 2 for 1 pricing. Who Will You Choose to be Your Companion? If you’re looking to do a lot of traveling in upcoming years with a companion, this deal is perfect for you. It’s absolutely worth attempting to achieve, especially for couples or best friends. I choose my wife as my companion, and she chooses me. As long as this deal stays alive through credit card bonuses, we’ll likely have one for a long time to come. My wife and I now have a Southwest Companion Pass status for the third straight year (and 4th next year) thanks to the Southwest credit cards. My wife, Allison applied for both the Southwest Rapid Rewards Plus, and the Southwest Rapid Rewards Premier Business credit cards at the same time. The personal card was automatically approved. The business credit card, on the other hand, received a pending status. After about a week, they approved her business card as well (patience is a virtue). At the time, the introductory bonuses for those two credit cards were 50,000 Rapid Rewards & 60,000 Rapid Rewards respectively. After meeting the minimum spends on both Southwest credit cards, she earned around 115,000 Southwest points and one SW Companion Pass! Now we have a free companion ticket on every flight we take for the rest of 2018 and the entirety of 2019. Even better is that those 115,000 points are essentially doubled (230,000 points) worth approximately $3,700. That’s a lot of Southwest Airlines destinations we’ll be able to fulfill without spending any money (besides taxes & fees)! This is the best deal in the travel industry. Don’t miss out. It likely won’t be around forever. Who will be your companion? Chase Ultimate Rewards are the best travel points in all of the industry. They’re the most lucrative because they’re also the most flexible. There are four ways to earn Ultimate Rewards. It’s much easier than you might imagine. Chase Ultimate Rewards can be earned through credit card signup bonuses, credit card spending, the online Chase shopping portal, and through referring friends to the credit cards. After you earn your Ultimate Rewards, there are three ways to redeem them. The best of the three ways is to transfer your points to airlines and hotels to save thousands of dollars on your bookings. You can also book travel through Chase directly, or use your points for cash back. Let’s go ahead and find out all the details about Chase Ultimate Rewards. Because they’re so valuable, it literally pays to know as much as possible about them. While there are seven Ultimate Rewards credit cards in total, they’re not all equal. There are two types of Chase Ultimate Rewards credit cards, including primary cards and secondary cards. The difference between the two types of cards is how their points can be redeemed. The primary Chase cards have distinct advantages over secondary cards. Primary Chase Ultimate Rewards credit cards have the ability to be redeemed in three ways. They can be redeemed for cashback-like purchases including on Amazon, Apple, for gift cards, and for experiences valuing the points at 1 cent per point. They can also be used for travel in one of two ways. First, through the Ultimate Rewards travel portal to book flights, hotels, cruises, rental cars and more directly through Chase at a value of 1.25-1.5 cents per point. And the third way, by transferring points to any of the Ultimate Rewards travel partners to book directly through their programs at a value of up to 2 cents per point, or more. 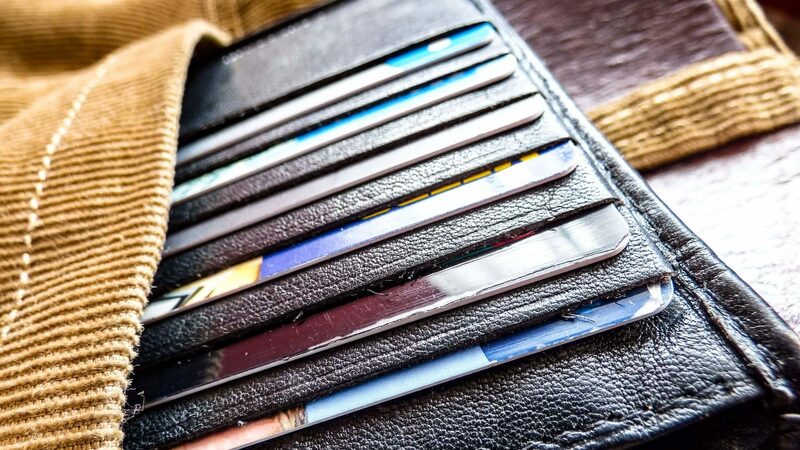 Secondary Ultimate Rewards credit cards aren’t quite as valuable by themselves. They only have the option to redeem points for the cashback-like purchases and through the Chase travel portal, both at redemption rates of just 1 cent per point. I said they aren’t as valuable “by themselves” because if you also have a primary Chase Ultimate Rewards credit card, you can transfer your points from the secondary card account to get better redemptions. Let’s see which are primary Ultimate Rewards cards and which cards are secondary. As you can see, the three primary Ultimate Rewards credit cards are the Sapphire Preferred, Sapphire Reserve, and Ink Business Preferred. They all have higher redemption rates in the travel portal, and have access to the Ultimate Rewards transfer partners. If you have both a secondary card and a primary card, you should always transfer points to the primary card for redemption. One thing to consider when applying for Chase credit cards is their “5/24 Rule”. This rule states that you can only be approved for a Chase-branded credit card if you are under the limit of five credit card approvals in the past 24 months. These five approvals don’t just count Chase cards. They count any and all personal credit card approvals. Yes, only personal credit card approvals count toward your tally. When you’re approved for a business credit card, it does NOT count toward your five approvals. But, when you’re applying for one of the Chase business cards you still need to abide by the 5/24 rule to be approved for it. The Chase Ultimate Rewards program is the best points system in the travel business due to its extreme flexibility. The ability to transfer points to most of the best airlines and hotels is so valuable. There’s also a lot of value in the fact that Chase allows you to transfer Ultimate Rewards points between accounts. You can transfer points between your own card accounts or between two accounts of household members. That means if you and your significant other are both earning points, you can eventually pool them together for a redemption. Be careful when pooling points from two peoples’ accounts and make sure your addresses match up. Also, don’t attempt to combine Ultimate Rewards with non-household members as it’s against Chase’s terms and could result in forfeiting your Ultimate Rewards. Now that you know a few of the important things about Chase Ultimate Rewards, let’s learn how to earn and redeem Ultimate Rewards points. There are four ways to earn Chase Ultimate Rewards. One way that can easily earn thousands and thousands of points and three ways that aren’t quite as lucrative, unless you spend a lot of money. By far, the signup bonuses from Chase Ultimate Rewards credit cards will earn you the most points. Those points can turn into tens of thousands of dollars of travel! There are seven Chase Ultimate Rewards credit cards in total. 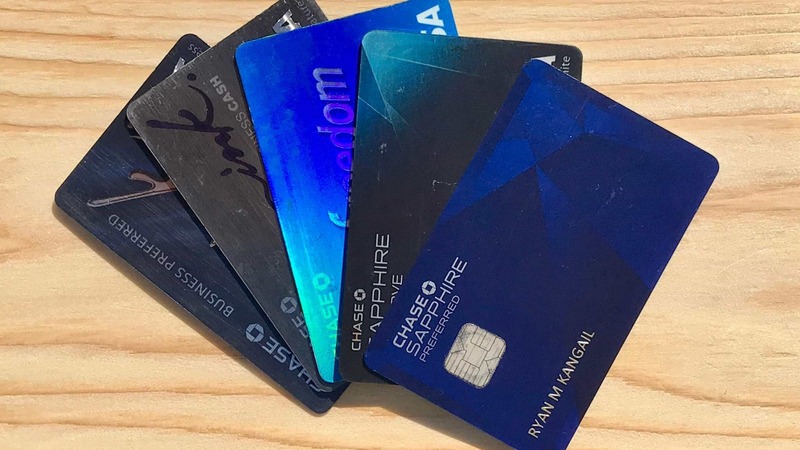 Chase offers four personal credit card options and three business cards. All seven cards have their own distinct features that make them valuable to the right person. These credit cards offer high signup bonuses, great earning potential from spending, excellent travel benefits, and much more. Remember that some of the cards are primary travel cards and some are secondary (better if used alongside a primary card). Does It Make Sense to Have More than One Ultimate Rewards Credit Card? It makes a lot of sense to have more than one Ultimate Rewards credit card working together. By pairing multiple Chase Ultimate Rewards credit cards, you’ll be able to get the best features from multiple cards. Many travel bloggers speak of an “Ultimate Rewards Trifecta” of cards that go well together. There are many ways to mix and match the Chase credit cards, but my favorite “trifectas” are the following pairings. 195,000 Chase Ultimate Rewards from signup bonuses. 5X earned on office supply stores, cell phone, cable, internet, and rotating quarterly bonuses. 3X on travel, dining, and some business expenses. Now, let’s check out all seven of the Chase Ultimate Rewards credit card offers. You'll earn $150 (in the form of 15,000 Ultimate Rewards points) after spending $500 in the first 3 months. Points can be transferred to primary Chase cards for better redemptions. This is one of the best "cash back" cards for earning rewards. You can earn up to 5X per dollar and those points can be transferred to a primary Chase card for better redemptions. It's a perfect card to pair with either of the Sapphire cards or the Ink Business Preferred. You'll earn 1.5% back on all purchases. (after year 1) No limit. This is one of the best "cash back" cards for earning rewards. You earn 1.5% per dollar (3% year 1) and those points can be transferred to a primary Chase card for better redemptions. It's a perfect card to pair with either of the Sapphire cards or the Ink Business Preferred. You'll earn $150 (in the form of 50,000 Ultimate Rewards points) after spending $3000 in the first 3 months. You'll earn 5X points on internet, cable, phone, and office supply stores. *Limited to first $25k per year. Earn 2X at gas stations and restaurants. Points can be transferred to primary Chase card accounts for better redemption. The signup bonus on this no-fee card is amazing. Pair that with some great 5X reward categories for your business and this card is great. This card pairs well with the Chase Sapphire cards and the Ink Preferred. You'll earn $500 (in the form of 50,000 Ultimate Rewards points) after spending $3000 in the first 3 months. You'll earn 1.5X on all purchases. No limit. The signup bonus on this no-fee card is amazing. Pair that with 1.5X rewards on every purchase for your business and this card is great. This card pairs well with the Chase Sapphire cards and the Ink Preferred. Certain spending categories will earn a bonus on purchases depending on what Chase Ultimate Rewards credit card you use. Some of the cards have bonuses on travel and dining, while other have bonuses at gas stations and on business expenses. We’ll go over some of the most popular spending categories and see which Chase Ultimate Rewards credit cards earn bonuses on them. All three primary Chase Ultimate Rewards credit cards offer spending bonuses for travel purchases. According to Chase travel includes things like airfare, hotels, car rentals, cruises, travel agencies, train fares, taxi rides, rideshare services, and many more. Chase Sapphire Reserve: 3X Ultimate Rewards on every dollar spent on travel. 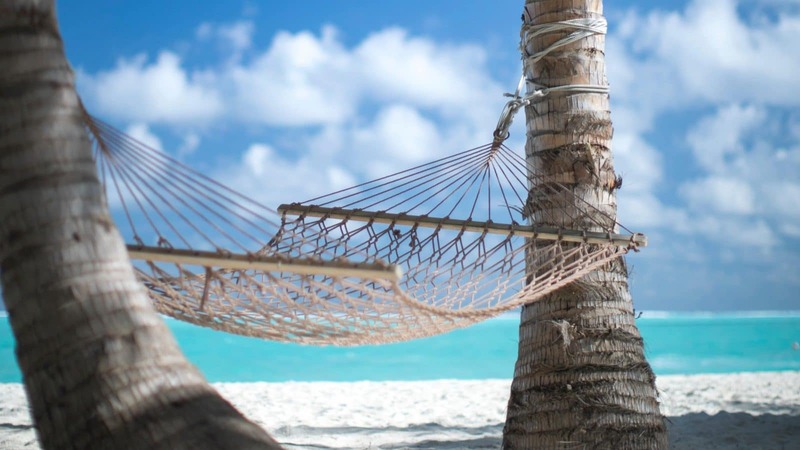 Chase Sapphire Preferred: 2X Ultimate Rewards on every dollar spent on travel. There are also three Ultimate Rewards cards that offer spending bonuses for restaurants and dining. This category also includes things like bars, cafes, lounges, and fast food. Basically, most anywhere that serves food will be included. Chase Sapphire Reserve: 3X Ultimate Rewards on every dollar spent on dining. Chase Sapphire Preferred: 2X Ultimate Rewards on every dollar spent on dining. Unfortunately, grocery stores are not a spending bonus category for any of the Chase Ultimate Rewards credit cards. That does NOT mean that you can’t earn more than one point per dollar spent on groceries though. Chase Freedom Unlimited: 1.5X Ultimate Rewards on every dollar spent on EVERYTHING. Ink Business Unlimited: 1.5X Ultimate Rewards on every dollar spent on EVERYTHING. Filling up your gas tank is no fun, but at least there are a couple ways to earn bonus points when you have to do it. If you own a business you’re likely going to end up spending money on office supplies. Stores like Office Depot and Staples are considered office supply stores. They sell things like pens, paper, computers, chairs, desks, printers, coffee, and more. They also sell gift cards to many other places you may shop regularly. Not everything you purchase for your business can be found at an office supply store. Things like cell phones, internet, and advertising also have spending bonuses. Ink Business Cash: 5X Ultimate Rewards on every dollar spent on internet services, cable services, and phone services. Remember, that if you’re purchasing something that isn’t in a spending category bonus you can still earn 1.5X points on whatever it is by using either the Chase Freedom Unlimited or Ink Business Unlimited. They both earn 1.5X Ultimate Rewards on all purchases, no matter what they are. Shopping online for most purchases is regular these days. Don’t miss out on extra points that you can earn by making online purchases through the Chase Ultimate Rewards shopping portal. Using the shopping portal is easy. Sign in to your Ultimate Rewards account. Click “Earn Bonus Points” in the menu on the upper left. Find the retailer you want to shop at and click “Shop Now”. Earn bonus points! Chase says they typically show up on your statement in 3-5 business days. Almost every store you can imagine is available in the Ultimate Rewards shopping portal. 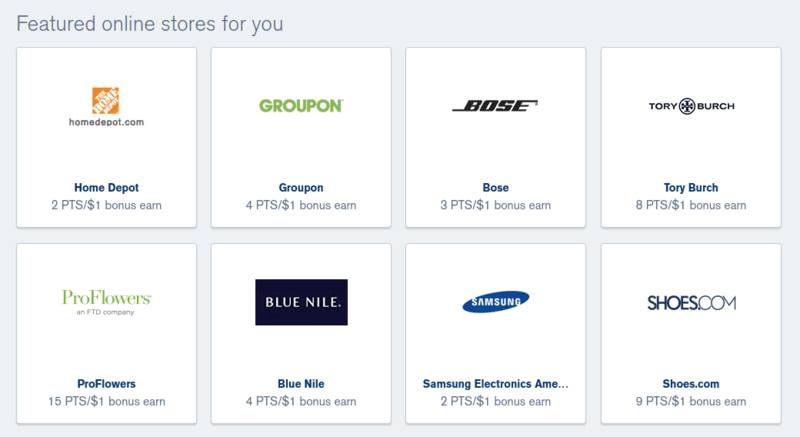 As you can see from the image above, some retailers offer more bonus points than others. They typically also have special offers at a handful of retailers that offer extra bonus points for a limited time. Chase Sapphire Preferred: 10,000 Ultimate Rewards per referral, up to 50,000 points per year. Ink Business Preferred: 20,000 Ultimate Rewards per referral, up to 100,000 points per year. Chase Freedom Unlimited: 10,000 Ultimate Rewards per referral, up to 50,000 points per year. If you already have one of these cards, you can check your qualification status at the Chase Referral page. Now that you know the four ways to earn Chase Ultimate Rewards, let’s learn how to redeem them. There are three ways to redeem Chase Ultimate Rewards. Two ways that involve travel and will earn good point redemption rates, and one way that is essentially cash back and will give an average redemption rate. We recommend using your points for travel, considering we’re Travel Freedom. If you’re interested in travel, you should redeem your Ultimate Rewards either in the Chase travel portal or by using the Chase transfer partners. 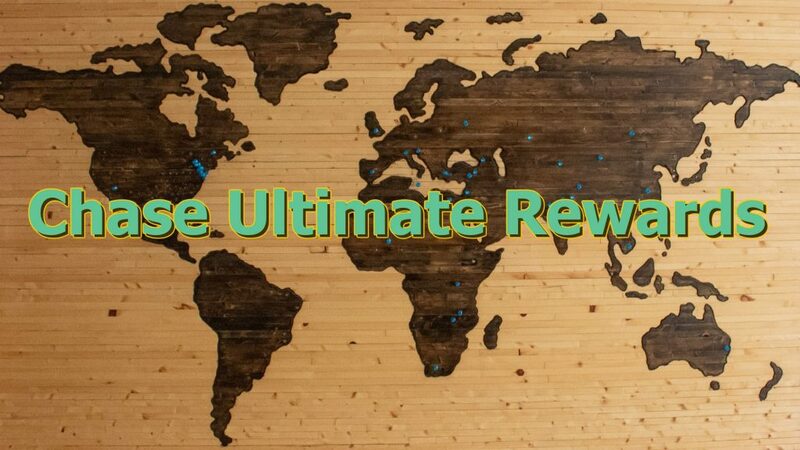 Redeeming Ultimate Rewards for travel will get you much more value for your points. If you want to travel, but you don’t want to worry about transferring points, learning about airline and hotel award charts, or finding the most value for your points, the Chase travel portal is likely the right redemption method for you. It’s simple and depending on what Ultimate Rewards credit card you have, you may get a higher redemption rate. As mentioned before, the primary Chase Ultimate Rewards credit cards get 25-50% more value on travel portal redemptions. All secondary Chase Ultimate Rewards credit cards have a redemption value of just 1 cent per point. But, remember that if you have both secondary and primary cards, you can transfer your points to the primary card before redeeming. This also allows you the ability to transfer your Ultimate Rewards to Chase transfer partners for an even better redemption. The second way to redeem Ultimate Rewards for travel is by transferring your points to partner airlines and hotels. There are 13 Chase transfer partners, of which 9 are airlines and 4 are hotels. All of the Chase transfer partners’ points exchange at a ratio of 1:1 and most of them transfer instantly. This is the redemption method that can get you the most bang for your buck. You can get a redemption rate of more than 2 cents per point by transferring to airlines and hotels. In fact, I regularly transfer to Hyatt, British Airways, and Southwest to earn redemptions well over 2 cents per point. For instance, my wife and I used 50,000 Chase Ultimate Rewards points that we earned from a signup bonus, to fly to Hawaii (saving us over $1300). Our redemption value for those Ultimate Rewards was 2.7 cents per point! That’s almost three times the value of redeeming for cash back. Now that you know that using Chase transfer partners is the best way to get the most value out of your Ultimate Rewards, let’s find out what airlines and hotels are partners. Transfer Ultimate Rewards to British Airways for a roundtrip transatlantic award flight on Aer Lingus for 26,000 Avios on off-peak dates from Boston to Shannon or Dublin, Ireland. By transferring 30,000 Ultimate Rewards to Hyatt and spending just $375, you can stay 3 nights at the Park Hyatt Dubai, which normally would cost over $1,500. Transfer 17,800 Ultimate Rewards to JetBlue to fly one way from Boston to St. Lucia in JetBlue Mint, the airline’s lay-flat premium class seats. By transferring 76,000 Ultimate Rewards to Singapore Airlines you can fly in their luxurious Suite Class, one way from New York City (JFK) to Frankfurt. A redemption that can be worth over 12 cents per point. Transfer Ultimate Rewards to British Airways for a roundtrip award flight from the west coast to Hawaii on Alaska Airlines for 25,000 Avios. Remember, all Chase transfer partners convert at a 1:1 ratio. So, 1,000 Ultimate Rewards will turn into 1,000 miles or points of your choice from the list of 13 transfer partners. It’s easy to transfer points to a Chase travel partner. Make sure that your desired redemption is available with points before transferring. Once you transfer Ultimate Rewards to a travel partner, they can’t be brought back. Click “Transfer to Travel Partners” in the upper menu. Find your airline or hotel and click “Transfer Points”. Enter the recipient and membership number. Then select the number of Ultimate Rewards you’d like to transfer and click continue. Your transfer is complete! Most points transfer instantly but check the table above for each programs timeline. Using your Ultimate Rewards on cashback-like purchases is the least valuable way to redeem them. It is not a recommended way to use your points, especially if you are interested in traveling. Travel can get you more than double the value for your Ultimate Rewards. If you are interested in using your points for purchases other than travel, you will be redeeming them for 1 cent per point or less. Here are your options. Amazon: Redeem your Ultimate Rewards for any Amazon purchases. You can link your accounts to get started. Using Ultimate Rewards to make purchases on Amazon gives the worst redemption rate value at just 0.8 cents per point. Apple: Redeem your Ultimate Rewards for Apple products. The redemption rate at Apple is currently 1 cent per point. Cash Back: Simply get cash back at a redemption value of 1 cent per point. Cash can go towards a statement credit or be deposited into your banking account. Experiences: Use your Ultimate Rewards for unique experiences. Redemptions rates for experiences are 1 cent per point. Be sure to purchase these quickly as they tend to sell out fast. Also, you can purchase these events with money instead of points. Gift Cards: Shop 196 gift card options with your Chase Ultimate Rewards. Ultimate Rewards are worth 1 cent per point when used for gift card purchases. Some gift cards are offered at a 10% discount, which will give you a redemption rate of 1.1 cents per point. PS: Did I mention, “Don’t do this“? Use your points for travel, where they’re much more valuable! Decision Time: Should You Start Earning Chase Ultimate Rewards? Chase Ultimate Rewards are the most valuable points in the travel industry. They’re so valuable because they’re so flexible. As you’ve found out, there are four easy ways to earn Ultimate Rewards, and three ways to redeem them. 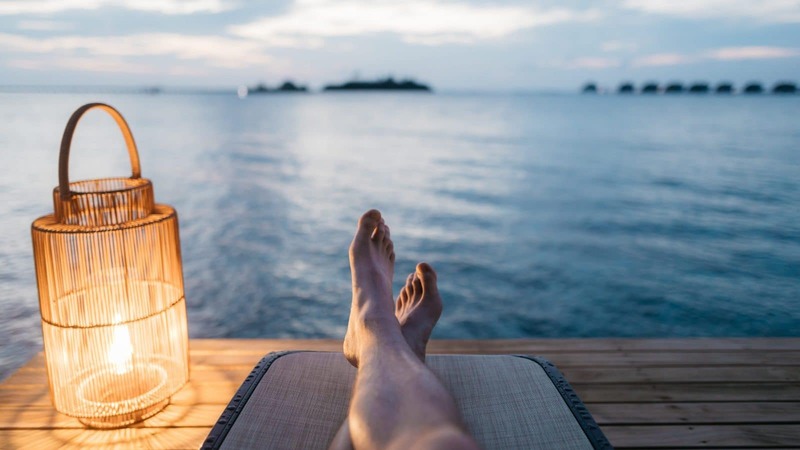 By earning hundreds of thousands of Ultimate Rewards through signup bonuses and then transferring them to your favorite airlines and hotels, you can get thousands of dollars worth of travel for nothing. If you’re not using Chase Ultimate Rewards to travel for next to nothing, you’re missing out. 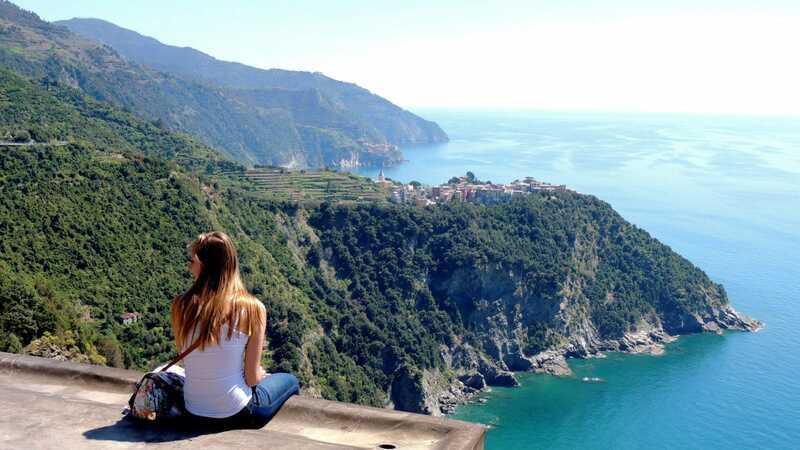 Along with many frequent travelers, I, myself have saved tens of thousands of dollars on travel. I’ve taken trips that I never would have been able to if it weren’t for points. I’ve also made vacations more extravagant than I could otherwise afford by using points. Chase Ultimate Rewards are just what they say they are. They’re the ultimate travel points program. Good luck! You really can’t go wrong with any of the Chase Ultimate Rewards credit cards. 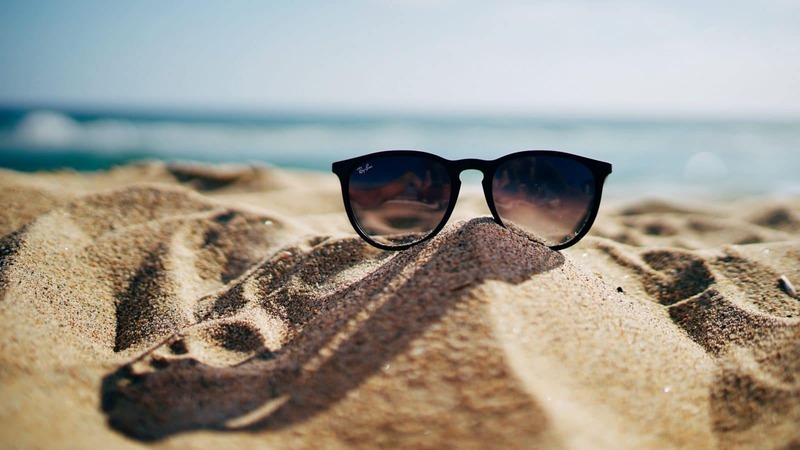 Maybe we’ll see you on vacation! I get asked over and over: What is the best way to fly to Hawaii? Luckily, Hawaii is my all time favorite place to visit in the world and I have the answer. I know a little secret and I think it is by far the best way to fly to Hawaii. 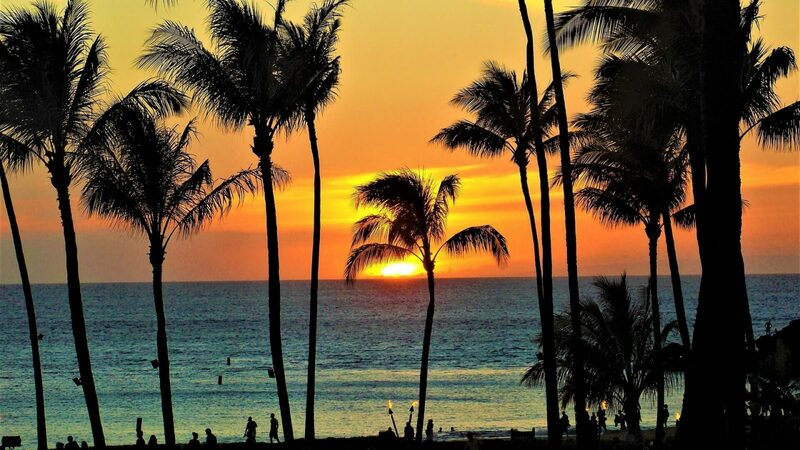 Next time you’re searching for flights to Hawaii, how would you like to find flights for $11? You won’t find this price on Google Flights or Expedia, but they do exist. I’ll show you how to find them and how it’s possible to book them. My wife and I fly to Hawaii at least once a year and we typically pay only $11 each. Want to travel to Hawaii, but think it’s too expensive? Do you have good credit? Check. Do you live on the west coast? Check. Excellent! You are in perfect condition to have close to free flights to Hawaii as often as you’d like. This will be done using the best way to fly to Hawaii that I referred to earlier. I’m sure you’re asking yourself how this could be true? British Airways of course! “Wait, what”? How is British Airways going to get you to Hawaii when they don’t even fly that route? The answer is by using their partnership with Alaska Airlines. Something most people don’t know is that almost all major airlines have partner airlines. You can book flights on these airline partners, using frequent flyer miles. We’re in luck because British Airways has a partnership with Alaska Airlines. They have flights from the continental US to Hawaii. This partnership allows you to fly to Hawaii using very few miles. 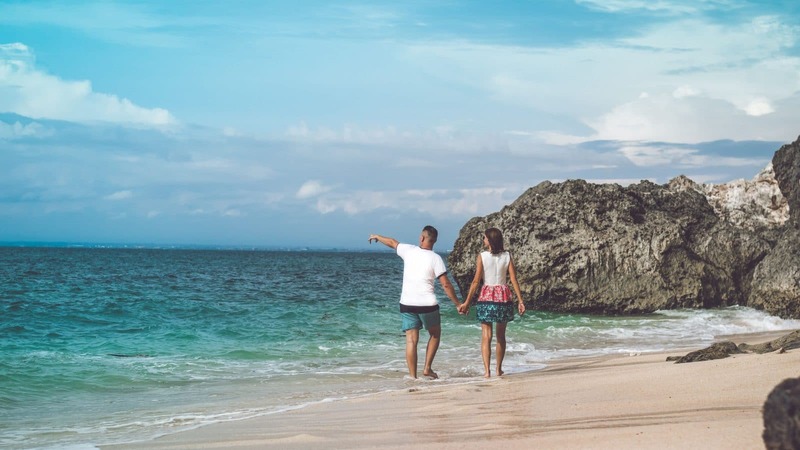 The miles needed for British Airways partner flights are distance based, and Hawaii is conveniently located approximately 2,600 miles from any of the airports on the west coast. According to the British Airways award chart, the distance from the west coast to Hawaii is in their Zone 4. A round trip flight to Hawaii costs 25,000 (12,500 each way) and approximately five dollars in taxes, fees and carrier charges total. YES, you heard that right… TOTAL! When compared to other carriers’ award prices it’s an amazing deal. 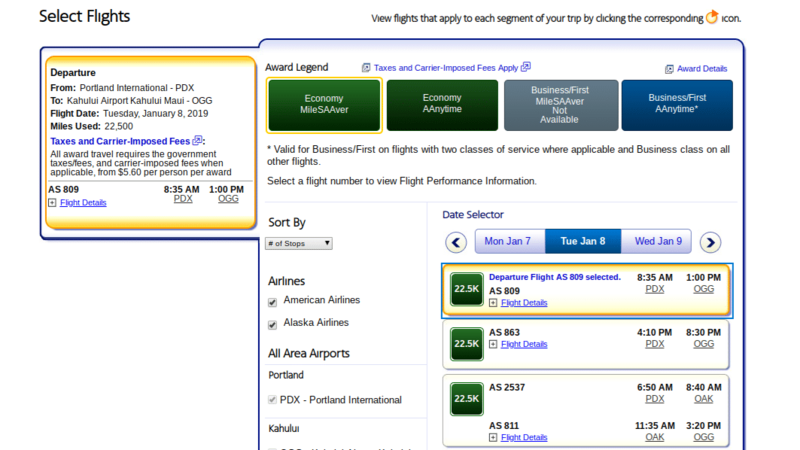 The next cheapest award flight to Hawaii is through American Airlines and it takes 35,000 miles round trip. Also, that is only for their “low season” (Good luck finding a flight with award seats available). Most other airlines charge around 40,000 miles round trip for flights to Hawaii. Bare with me, but to take advantage of the best way to fly to Hawaii, you will have to put in a little effort. I hope that’s OK… I promise it’s pretty simple once you learn how the process works. Currently, you can only book these Alaska Airlines flights by calling British Airways. As a bonus, you get to talk to someone with a cool British accent. First, you can check the availability through American Airlines award booking. Enter the travel dates you are looking for, your airports, and check “Redeem miles”. Any date that shows up as available in the light green “Economy MilesAAver” section should be available to book through British Airways. But, you will also need to make sure that the date you have selected has an available non-stop flight. Don’t mind how many miles it says it will cost as those numbers are irrelevant to this deal. Because British Airways flights charge points per segment, you pay only 12,500 miles each way for direct flights of this distance. In the picture above, both of the top flights will cost 12,500 British Airways miles. In my experience, if you are just a little bit flexible, availability is great! 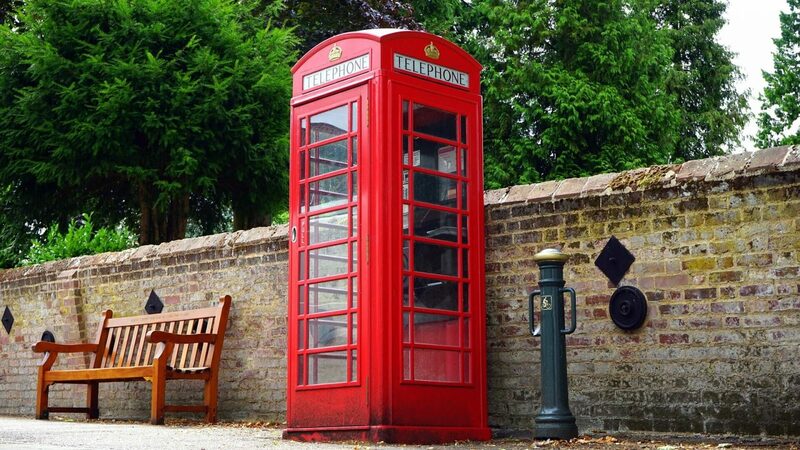 After you find your available dates, the last step of booking your flight is to call British Airways. To call the office, the phone number is 1-800-452-1201, then press 2 when prompted, and 1 again to book a flight. If you have the flight information you got from American Airlines, it makes the process very easy. You will tell the phone rep where you want to fly and on which dates. They will book the trip for you. Any booking fees should be waived because your flight was not bookable online. Mention this if, for some reason, they try to charge a fee. Now that you are all booked, any future contact about your tickets or flight will be with Alaska Airlines. They will be able to look up your itinerary by name or Alaska Airlines confirmation code if you have it (British Airways should give you this on the phone). You may want to call Alaska Airlines just to make sure everything is set up with them correctly and to select your seats. On the day of your flight, you will check in either at the Alaska Airlines counter or at one of their automated ticketing kiosks. Now that you know the process of using British Airways miles to book round-trip flights using the best way to fly to Hawaii, using only 25,000 miles, here are a few ways to accrue British Airways miles. If you already have them you’re all set. But if you don’t, there are many ways to get them. Here is where having good credit comes into play. You can sign up for certain credit cards which will give you large amounts of points as an introductory bonus, which can then be transferred to British Airways. Introductory Offer: You’ll earn 50,000 bonus Avios after you spend $3,000 on purchases within the first 3 months from account opening. You’ll earn an additional 25,000 bonus Avios after you spend $10,000 total on purchases within your first year from account opening for a total of 75,000 bonus Avios. You’ll earn a further 25,000 bonus Avios after you spend $20,000 total on purchases within your first year from account opening for a total of 100,000 bonus Avios. Companion Ticket: Every calendar year you spend $30,000 on your card, you’ll earn a Travel Together companion ticket good for two years. Category Spend Bonuses: You’ll earn 3X points for every $1 spent on British Airways purchases and 1 point for every $1 spent on all other purchases. Learn more about this card and find out how to apply HERE. You’ll earn 60,000 Membership Rewards points after you spend $5,000 in the first 3 months. Enjoy Uber VIP status and free rides in the U.S. up to $15 each month (bonus $20 in December). Enjoy access to the exclusive Global Airport Lounge Collection. $200 Airline Fee Credit, up to $200 every calendar year with one qualifying airline. Get up to $100 in statement credits annually for purchases at Saks Fifth Avenue on your card. Enrollment required. Fine Hotels & Resorts Access. Hilton & Marriott Gold Status. Discounts on First/Business/Premium Economy tickets. With a large introductory offer, statement credits, and airport lounge access, this is an excellent premium travel credit card. You’ll earn 35,000 Membership Rewards points after you spend $2,000 in the first 3 months. Get $10 in statement credits per month for purchases at Grubhub, Seamless, The Cheesecake Factory, Shake Shack, and Ruth's Chris Steak House. $100 airline fee credit on selected airline. If you spend a lot of money on food and travel, this card will be worth the annual fee. If not, it probably isn't worth paying $250 per year. These are just a few of the options of credit cards that can earn British Airways miles to help get your flights to Hawaii. Introductory offers are always changing so be sure to compare Travel Credit Cards before applying. This is how my wife and I have traveled to Hawaii on a yearly basis using points. 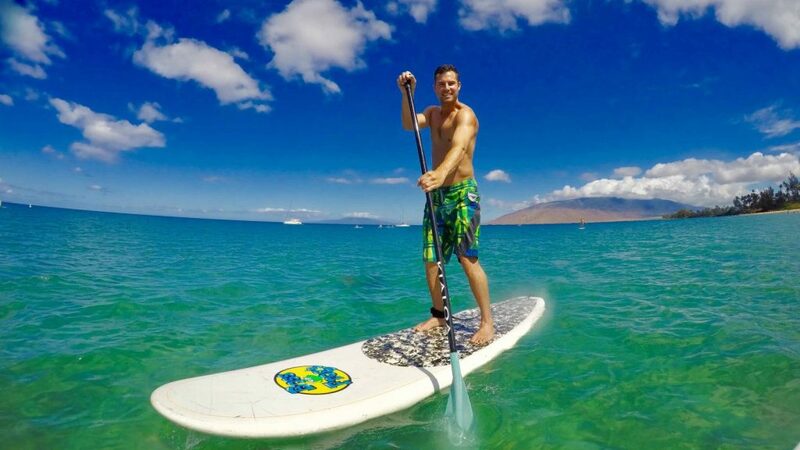 There are numerous credit cards that have introductory bonuses large enough for multiple round-trip flights using the best way to fly to Hawaii. 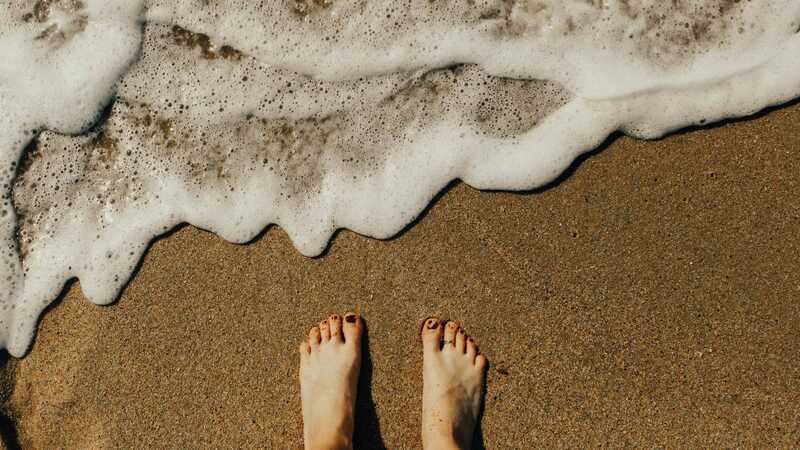 Now that you have enough points and know how to use them to travel to Hawaii for next to nothing, all that’s left to do is relax on the beach with the sand between your toes. See you in Hawaii. Aloha!